They are "ambitious plans" to some and "madcap schemes" to others. We've dusted down our archives to remember 10 ideas which didn't quite happen in Hartlepool......yet. The 520ft-long 15m bridge was part of the Victoria Harbour regeneration plan, pictured, and was to be designed by Turner Prize-winning artist Anish Kapoor. The idea was scrapped in 2012 after recession bit. 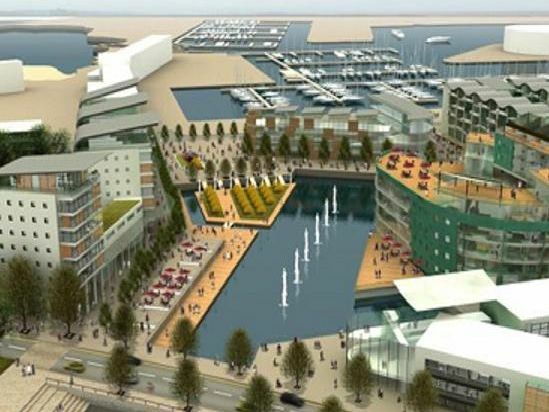 Both were among many suggestions for the failed Jacksons Landing retail outlet before the Marina building was eventually bought in 2013 by Hartlepool Borough Council and later bulldozed. A park is now planned there. The 100m scheme included a new 3,000-seat stand complete with hotel at Hartlepool United's Victoria Park ground plus an upgraded Mill House swimming pool. Pools' subsequent ownership changes have seen the 2013 plans fade. A 295m scheme linking Hartlepool with Middlesbrough and Darlington would have seen trams returning to town for the first time since 1927. The idea was ditched by the Tees Valley Partnership on cost grounds in 2004.